easternblot.net is a science blog that I’ve managed and written for since 2005. It highlights the overlap of science and daily life, and science as part of culture. The blog also includes a selection of archived posts from Expression Patterns, my old blog on Nature Network (hosted by Nature Publishing Group). Two of the posts have been included in published blog anthologies in 2009 and 2012. The site has been featured on or linked from Boing Boing, Scientific American blogs, BlogTO, and other top-ranking blogs. In 2017, easternblot.net received about 5000 visitors per month. The site is sustainable through a combination of ads, affiliate marketing, sponsorships, and the sale of related products. 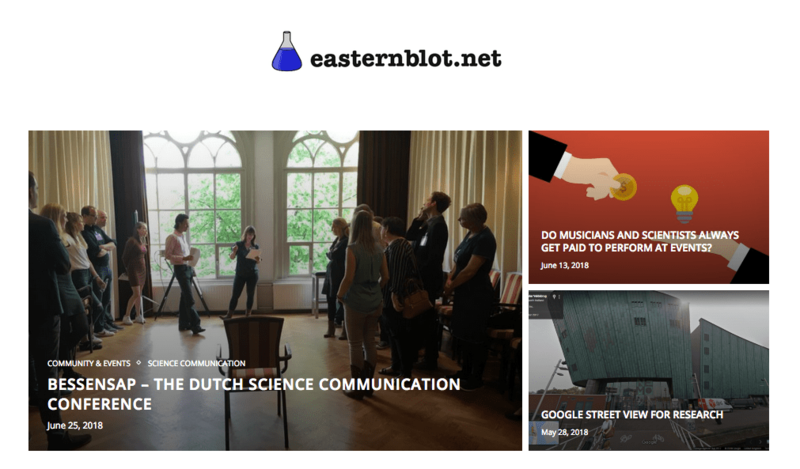 If you’re interesting in working with easternblot.net as a sponsor, please contact me. I take on collaborations and sponsors on a case by case basis, and prioritise those that best match the site’s audience and ideals.